December 20, 2018– Ericsson (NASDAQ: ERIC) and Panasonic Avionics Corporation (Panasonic) have announced that Ericsson’s Core Network as a Service solution is now live, supporting connectivity services across multiple markets served by Panasonic. Lake Forest, USA | October 10, 2018– Panasonic Avionics Corporation (Panasonic) has appointed Donny Cheah, as Regional Vice President, China. This strategic hire will bolster Panasonic’s presence in China which is the fastest-growing region in the world for air travel. To date, Panasonic has sold more than 2,000 inflight entertainment and connectivity solutions to airlines based in this region. Donny will also serve as the president of Panasonic Avionics (China) Co., Ltd. (PACN) which will be newly established in Shanghai, China this year. In his business management role, Donny will oversee account management, customer support, repairs & maintenance, media & creative services, along with the service functions of quality, human resources, IT, and customs compliance in the China region. Donny brings 25 years of experience in the technology and telecommunications industries with roles based across the Asia Pacific region, including Hong Kong and Singapore. Most recently, he was President & CEO at Sumitomo Drive Technologies, with P&L responsibility for China and Hong Kong. Prior to this, Donny spent almost 15 years at Singapore Telecommunications Ltd, where he gained significant commercial experience, including: Managing Director of China, Senior Director of Global Accounts, and Regional Head of Australia, India, Middle East, and subsequently Europe and U.S.
Donny holds a Masters in Business Administration from University of Strathclyde in Glasgow, Scotland and a Bachelor of Business, Marketing and Management from Monash University in Melbourne, Australia. Lake Forest, California | April 26, 2018– Panasonic Avionics Corporation (Panasonic) is to establish new Innovation Studios at key centers across the globe. Panasonic, SmartSky, Thales … and Much More! Panasonic Avionics Corporation and Kenya Airways have today announced an agreement to provide inflight entertainment (IFE) services and passenger technical solutions for 24 of the carrier’s narrowbody and widebody aircraft. The agreement includes ten Embraer 190 aircraft line-fitted with Panasonic Avionics’ eFX IFE system, five Boeing 737-800 aircraft fitted with eX1 and nine Boeing 787-8 aircraft equipped with eX3. Kenya Airways is a leading African airline flying to 53 destinations worldwide, 42 of which are in Africa. It carries over three million passengers annually. Kenya Airways continues to modernize its fleet with its 36 aircraft being some of the youngest in Africa, including its flagship Boeing 787 Dreamliner aircraft. From the IFE perspective, eFX delivers entertainment and productivity tools including music, movies, games, TV series, destination presentations and a moving map in a single-aisle package. eX1 is Panasonic’s most advanced linefit IFE system for single-aisle aircraft. Its high-definition display technologies and surround sound audio create a home theater atmosphere that draws passengers into an immersive entertainment experience. Further, the eX3 system is capable of delivering more than 700 hours of on-demand audio and video entertainment. It offers excellent picture quality with enhanced color and contrast features. Panasonic Avionics told IFExpress that it offers a comprehensive solution to meet every airline’s needs for seatback, wireless, linefit and retrofit systems. For passengers, Panasonic solutions deliver an amazing home theater entertainment experience that includes HD content, games, applications, communications, and much more. For airlines, the inflight system is the foundation of a business platform that amplifies their brand. SmartSky’s best-in-class, future-ready airborne network got a boost from the Federal Aviation Administration (FAA). Avidyne Corporation, SmartSky’s avionics manufacturing partner, was awarded the first supplemental type certificate (STC) that provides for the installation and operation of a SmartSky 4G LTE system, in this case, on a Cessna Citation Excel. Avidyne CEO Dan Schwinn stated, “With this pioneering first STC in hand, we expect to receive Parts Manufacturer Approval (PMA) from the FAA shortly. PMA is the catalyst for SmartSky’s partners to complete their STC commitments on many other popular business aircraft, and that then enables customers to install and use the system.” SmartSky expects these follow-on STCs to begin to be available this summer. That timing aligns well with the planned completion of the majority of the network coverage expansion effort currently underway across the continental United States. Passengers of Garuda Indonesia, the country’s flag carrier, can look forward to an all new and enhanced passenger experience with Thales AVANT IFE System on board the carrier’s A330neo aircraft. Garuda’s choice of Thales’ IFE system will help drive the airline’s strategic positioning to attract more passengers as Indonesia expects to see a double-digit increase in passenger growth this year. Garuda Indonesia equips 14 A330neo aircraft with Thales AVANT IFE. Thales and Garuda announce their partnership at the Singapore Airshow. The agreement is a first for both industry leaders. AVANT IFE features a powerful full high definition monitors for business and economy class passengers. Business class travelers will also enjoy the Avii touchscreen handsets. Thales will be Airbus’ subcontractor for MRO across Asia-Pacific for repair of all avionics components on Airbus’ single-aisle, long-range and A350 aircraft for seven years. Repairs will be carried out from the Thales regional MRO hub in Singapore, the largest of the group’s three repair HUBs which services over 40k components per annum. The Asia Pacific region is recognized by Airbus as a strategic nerve center for growth in the next 15 years with demand for new aircraft more than doubling by 2036. The A321LR features a new door configuration, enabling its operators to accommodate up to 240 passengers in Airbus’ widest Single Aisle fuselage in the sky. The new Airspace by Airbus cabin available on the A320 Family additionally enhances the passengers’ unrivaled travel experience. With further options, combining an increased Maximum Take Off Weight (MTOW) of 97 tonnes and a third Additional Centre Fuel Tank (ACT), the aircraft’s range extends to 4000nm (7400 km), allowing airlines to tap into new market opportunities. The A321LR’s new door configuration, enabling its operators to accommodate up to 240 passengers in Airbus’ widest Single Aisle fuselage in the sky. The new Airspace by Airbus cabin available on the A320 Family additionally enhances the passengers’ unrivaled travel experience. With further options, combining an increased Maximum Take Off Weight (MTOW) of 97 tonnes and a third Additional Centre Fuel Tank (ACT), the aircraft’s range extends to 4,000nm (7,400 km), allowing airlines to tap into new long range market opportunities. Incorporating the latest engines, aerodynamic advances, and cabin innovations, the A321neo offers a significant reduction in fuel consumption of 20 percent by 2020. With more than 1900 orders received from over than 50 customers, to date the A321neo has captured a solid 80 percent market share, making it the true aircraft of choice in the Middle of the Market. The aircraft is now set to undergo a nearly 100 hour flight test program, including transatlantic missions, for EASA and FAA Type Certification in Q2 2018. Entry into service is targeted for Q4 2018. On another note, Airbus has been testing and using the SLS (Satellite Landing System) and you aviation tekkies need to get up to speed on this one. We note that the final approach segment is equivalent to a ground-based ILS beam! Here is a great slide presentation of the technology and Airbus deserves a pat on the back on this one! Next, GE Capital Aviation Services (GECAS) and Travel Service, the largest carrier in the Czech Republic, celebrated the delivery of the airline’s first 737 MAX airplane.Travel Service is leasing the airplane – a more fuel-efficient, quieter, and longer-range version of the 737 jet – from GECAS, the commercial aircraft leasing and financing arm of General Electric. The highlights from the APEX Meetings in LA this past week can be found here: Day 1 and Day 2. Good Stuff! With some 67% of global enterprises breached world wide, and up to 73% of them breached in the US alone, it is time to get up to speed on the issues – You can download Thales Data Threat Report here … the Global Edition! And yes, it’s about data, not just aviation. We don’t know about you, but AI and Machine Learning stuff has been a head swimmer for us and we continually wonder why this “stuff” is becoming more and more popular. The attached article link is pretty useful in explaining why these technologies are becoming valuable. Remember, with faster machines and more data storage, there is a heck of lot more data out there, and if one can gain value from it, it is worth pursuing. This article provides a few examples. We know not how to introduce this subject … so we suggest you read the article for yourself!? Airbus A321neo (A321LR) maiden flight flight from Hamburg video – 2 minutes long … but worth it! Really beautifully done, and now it’s your turn Boeing! Big Data and advertising have common grounds – Big Data’s Impact on Advertising – CTOvision.com So, here is the FCC’s Advisory Circular. Lake Forest | February 6, 2018– Panasonic Avionics Corporation (Panasonic) and Kenya Airways have today announced an agreement to provide inflight entertainment (IFE) services and passenger technical solutions for 24 of the carrier’s narrowbody and widebody aircraft. The agreement includes ten Embraer 190 aircraft line-fitted with Panasonic Avionics’ eFX IFE system, five Boeing 737-800 aircraft fitted with eX1 and nine Boeing 787-8 aircraft equipped with eX3. Kenya Airways is a leading African airline flying to 53 destinations worldwide, 42 of which are in Africa. It carries over three million passengers annually. Kenya Airways continues to modernize its fleet with its 36 aircraft being some of the youngest in Africa, including its flagship Boeing 787 Dreamliner aircraft. eFX delivers entertainment and productivity tools including music, movies, games, TV series, destination presentations and a moving map in a single-aisle package. eX1 is Panasonic’s most advanced linefit IFE system for single-aisle aircraft. Its high-definition display technologies and surround sound audio create a home theater atmosphere that draws passengers into an immersive entertainment experience. The eX3 system is capable of delivering more than 700 hours of on-demand audio and video entertainment. It offers excellent picture quality with enhanced color and contrast features. Panasonic Technical Services will provide materials support solutions with technical advisory support to all aircraft. The aforementioned solutions have been customized in consultation with Kenya Airways to deliver optimal IFE spares operations coupled with onsite IFE support for maintenance operations. Panasonic Avionics offers a comprehensive solution to meet every airline’s needs for seatback, wireless, linefit and retrofit systems. For passengers, Panasonic solutions deliver an amazing home theater entertainment experience that includes HD content, games, applications, communications, and much more. For airlines, the inflight system is the foundation of a business platform that amplifies their brand. Lake Forest, California | November 21, 2017– Panasonic Avionics Corporation (Panasonic), a world leader in inflight entertainment and connectivity (IFEC), today introduced a major advance in inflight connectivity with the entry into service of its first High Throughput Satellite (HTS) capacity over the Pacific Ocean. Dubai | November 15, 2017–Saudi Arabian Airlines (SAUDIA) and Panasonic Avionics Corporation (Panasonic), a world leader in inflight entertainment and connectivity (IFEC), have announced a new 35-aircraft commitment for inflight entertainment across the carrier’s short haul fleet. The carrier has selected Panasonic’s X Series entertainment solutions, specifically, the company’s eXO and eX1 systems, for installation on its various fleets. Lake Forest, California | September 26, 2017– Panasonic Avionics today announces the appointment of Adri Ruiter as its new Vice President of Global Operations. With almost 30 years of experience in the aviation industry, Adri will be responsible for key global operations activity, including operational strategy, program management, supplier management and global manufacturing to ensure the highest level of consistent customer delivery. Ruiter previously held a number of positions at Zodiac Aerospace, including President and CEO of Zodiac Seats US, where he was instrumental to Project Fusion, a joint seat integration program between Zodiac (then Weber Aircraft LLC) and Panasonic. The design of the integrated seat ultimately led to the introduction of Panasonic Avionics’ industry-leading Eco Monitor family designed for the X Series IFE system. Ruiter’s most recent role at Zodiac was as Director of Restore Margins, where he led group operational excellence workshops at Zodiac Aerospace sites across North America. Lake Forest, CA | July 20, 2017– Asiana Airlines, one of Asia’s largest carriers, has begun revenue service with its first A350 aircraft using Panasonic Avionics Corporation’s (Panasonic) industry-leading inflight entertainment and connectivity (IFEC) solution. This first aircraft, which was line fit with Panasonic solutions by Airbus, entered passenger service on May 15th having been delivered to the carrier on April 26th. Panasonic’s eX3 system delivers a premium passenger experience through features including audio and video on demand, and a massive content library that can offer over 50 movies, 60 TV shows, games, music and more. The aircraft will also offer Panasonic’s global connectivity service – the only broadband inflight connectivity service operating in every country in the world today – enabling passengers to access the internet via broadband inflight Wi-Fi, and to send and receive calls and text messages. Lake Forest, CA | July 18, 2017– EL AL Israel Airlines today announced that it has selected Panasonic Avionics Corporation’s (Panasonic) industry-leading eX3 inflight entertainment (IFE) system for its new fleet of 16 Boeing 787 Dreamliners. Under terms of its agreement with Panasonic, EL AL will install eX3 across nine Boeing 787-9s and seven B787-8s, with the first aircraft being delivered in August 2017. 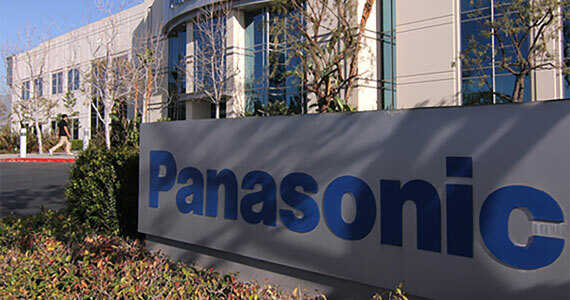 The agreement also includes a 15-year contract for the provision of system maintenance by Panasonic Technical Services, including spares, repairs and logistics, at an optimized maintenance cost. EL AL’s eX3 system features an elegant industrial design across all cabin classes. Passengers will be able to view 12, 13 and 16-inch high definition monitors that deliver superior viewing angles and capacitive touch. They also feature proprietary Panasonic technology that functions like the human eye, making dark scenes more visible by improving brightness in dark areas while simultaneously eliminating white saturation. The result is superior picture performance across all media formats including movies, TV shows, games, maps and more. Hideo Nakano, Chief Executive Officer of Panasonic Avionics Corporation, says: “Our partnership with EL AL continues to go from one successful program to the next and now stretches over a quarter of a century. Our eX3 system will provide EL AL with an industry-leading entertainment experience, delivering a premium service to their passengers traveling across the world. EL AL Vice President Service Amir Rogovsky adds: “We are focused on delivering a premium inflight experience for our customers. Our long-term partnership with Panasonic continues to be extremely successful and we look forward to strengthening our relationship with Panasonic Avionics as one of the leaders in the IFE industry. Lake Forest, CA | July 6, 2017– Panasonic Avionics (Panasonic) subsidiary AeroMobile today announced that it has added 100th aircraft to its 3.5G mobile network. With 60 percent of airlines now offering 3.5G inflight connectivity, users of the AeroMobile service grew by 57 percent between 4Q16 and 1Q17. The AeroMobile service allows passengers to use their own mobile devices to text, make calls, listen to voicemail and browse the internet while inflight. The service is easy to use with no onboard payment or registration; passengers simply turn on their mobile device to connect to the network and are billed directly by their mobile operator. Kevin Rogers, CEO of AeroMobile comments: “The milestone of 100 3.5G connected aircraft is testament to the continued airline adoption of the service and strong passenger demand. The inflight 3.5G network is complementary to Panasonic’s global inflight connectivity service. It offers passengers a simple and elegant way to stay in touch with friends, family, co-workers and current events while in the air. It gives passengers the same connectivity options as they have on the ground, and when combined with inflight Wi-Fi, enables data speeds that are comparable to a terrestrial service. AeroMobile’s phone service is already in use on over 500 aircraft across 21 airlines worldwide including Air Berlin, Aer Lingus, Air France, Alitalia, Emirates, Etihad, EuroWings, EVA Air, Cathay Pacific, KLM, Kuwait Airways, Lufthansa, Malindo Air, Qatar Airways, SAS, Singapore Airlines, Air Serbia, Air Seychelles, SWISS, Turkish Airlines and Virgin Atlantic. AeroMobile was the first to introduce mobile phone services in 2008 and now has over 350 roaming agreements in more than 150 countries. We at IFExpress have had the pleasure of working with David for over 30 years. Internally, we debated and discussed his recent promotion as a writing point and we unanimously noted that if we wanted to discuss just about any aspect of our industry, David Bruner was one of the first people we would ask. Why? Because, he understands the question, usually knows the answer, and is gracious when he delivers his reply – even if our question was less than correct, or our information was incomplete. 1. Tell our readers about the IFE(C) market for new aircraft for the next 3 years or so, given that aircraft sales are falling? A: Even though aircraft sales aren’t at the same all-time high levels as previous years, there are plenty of opportunities for companies like Panasonic that can deliver tailored solutions closely aligned to each airline’s business needs and the expectations of its passengers. 2.Do you see the IFEC market changing over the next 5 years based on what passengers are carrying? What does IFEC have to offer over carry-ons – today and in the future? A: The IFEC market is perpetually changing. 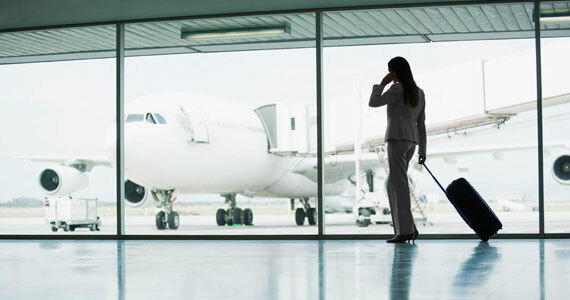 From embedded systems to PEDs to the ever increasing use of wearable technology, IFEC providers need to be able to provide platforms that allow airlines, passengers and crew to interact and stay connected easily and effectively. That is one of the reasons why we have introduced our new NEXT IFEC platform. We have in essence re-written our rule book for how we engage with airlines – moving from a product-based sales approach to one where we build tailored solutions based on their business needs, using the flexibility of our platform coupled with the versatility of our integrated ecosystem of value-added services, tools, applications, and partnerships. 3. What, in your opinion, will be the hardest bridge to cross in the next few years in IFEC? A: The industry needs to focus on how to fully enable a truly dynamic, digitally connected business platform in flight. When you have a flexible platform backed by a global connectivity network and comprehensive ecosystem, you can radically change the industry. For example when you combine our NEXT platform with services like ZeroTouch, you begin to liberate airlines from the accepted 30-day refresh media cycle. We’re opening up content on demand services, concierge services, real-time CRM, and much more. This kind of dynamic content update gives airlines the ability to efficiently and cost-effectively personalize services for their passengers. This will fundamentally address some of the complaints about air travel from both airlines and passengers. 4. IFEC and new connectivity capability should usher in more cabin/system connections to the ground but Panasonic is an IFEC company. How will you folks get into the side of “data” that others have been focused on for years and can you give our readers a bit of why you will succeed? A: Panasonic Avionics is already highly engaged in this area in a number of ways. Probably the biggest is ZeroTouch which we launched last October and has already received high levels of interest from airlines. ZeroTouch is a unique and innovative service that simultaneously gives airlines real-time visibility into performance, improves the efficiency of their maintenance operations and also enables data transfer of passenger-facing content to an aircraft to improve the passenger experience. The service will reduce an airline’s need to physically touch its aircraft because all interactions are managed through a virtual dashboard. By providing access to real-time passenger data, software, media and content updates can be data-driven, helping to deliver a relevant and personalized passenger experience. With over 70 airline customers we are having success helping airlines to see that the “C” in IFEC is more than passenger WIFI. As a global network operator, we are helping airlines use broadband connectivity to deliver new solutions — solutions that make passengers happier through better crew service, accessibility to the airlines app for constant real-time communications, health monitoring of all systems inflight, passenger and cargo security and more. This application of connectivity, with the onboard computing platform, will have the same powerful impact on the market as the introduction of the CRS’s of the 1960’s and 70’s. 5. David, you have been around this game for around 30 years now, can you tell our readers about the changes you have seen in working with airlines and what advice would you give them with the new technology in IFEC? A: IFEC has changed dramatically since I entered the industry however the objectives are still the same: an excellent audio and video experience, an ever-increasing choice of content, and more control over how and when content is viewed. Over the last 10 years, however, the rate of change in our industry has greatly accelerated with the advent of inflight connectivity. The advice I would give to an airline is to treat IFEC like all key interaction points of the passenger experience. From our experience, it has tremendous potential to enhance an airline’s brand — and therefore value — significantly. As such, it is worth the investment but only if the IFEC offering is aligned with an airline’s commercial objectives and the needs of its passengers. So involve an IFEC provider at the start of the decision making process, help them understand your needs, treat them like a partner, not a supplier – and the results will undoubtedly be better. 6. How important is the capability to engage the passenger from the point of ticket purchase, then throughout the remainder of their journey? What unique capabilities does Panasonic bring to this process? A: Enabling airlines to engage with their passengers throughout a longer process adds value to the passenger experience, and so has the potential to enhance the airline’s brand. We recognized this several years ago and developed the APIs that led to commercial deployment of Companion Apps – which are designed to span the passenger travel thread, enabling airlines to curate and integrate all aspects of the passenger experience. Singapore Airline was the first to take advantage of our program, and today its passengers can immerse themselves in their experience pre-flight, during flight and post-flight, bringing the benefits of the wide range of content and information to passengers for a much longer period of time. 7. Over the next 10 years, much of the hardware within the aircraft cabin will be able to report wirelessly – think galleys, lavs, lights, seats, etc. Besides providing the pipe and the satcom equipment, how does Panasonic foresee participating in this real-time operations arena? A: Panasonic already participates in this arena in a wide range of areas, using connectivity to enable airlines to better manage their aircraft and communicate with both their passengers and crews. Just one example of this is the real-time fleet monitoring tool that is an integral part of ZeroTouch, a key element of Panasonic’s integrated ecosystem – which enables airlines to be more operationally robust and efficient, ultimately enhancing the passenger experience whilst helping to keep operating costs contained. 8. Does Panasonic see the technology driving the consumer market and the evolutions of IFEC hardware flattening out over the next 10 – 15 years? If so, will Panasonic be focusing more on new software iterations that improve performance and capabilities utilizing existing hardware technologies? A: I don’t necessarily see a slow down in the advent of new consumer technologies and, as an IFEC solutions provider, we must continue to anticipate them, evolving to remain at the leading edge of making the step from the ground to the inflight experience a seamless one. We have a team that is solely dedicated to looking at new, emerging technologies and their potential impact to air travel. In fact, many of these technologies have been on display in our “Cool Room” at industry events. Some examples of recent demonstrations include 8K displays, smart surfaces, VR and AR. While not everything is applicable, we continue to bring innovation to the cabin. A great example of this is our NFC solution, which was the industry’s first. This kind of flexibility is intrinsic with our new NEXT platform. We believe that this will help us adapt and evolve our offering more effectively than ever before. 9. Hacking has been getting bigger and we have seen Panasonic’s response to some issues. Can you give us an update to the focus from your company? A: Panasonic continues to take a proactive approach to hacking. We not only continually test the robustness of our systems, but also regularly engage with security professionals who wish to test our systems legitimately through our Bug Bounty program. We recently concluded our second annual Inflight Security Conference. This customer event is a great example of our commitment to ensuring the security of all systems we design and deliver. We had 65 attendees from around the world who were treated to two days of in depth discussions with our security teams, trusted partners, and even Robert Herjavec, guest star of ABC’s TV shows “Shark Tank” and “Dancing with the Stars” and founder of the Herjavec Group, which is a global leader and service provider of security solutions for enterprise level organizations. So UAC (Russia) and COMAC (China) have announced a joint venture for a commercial wide body MoM aircraft (280 seats/7,500 mi.) to be assembled in Shanghai, with first delivery in 2027. We wonder if Airbus and Boeing will announce a similar deal in Paris. – NOT! Hamburg, DE | April 4, 2017– Panasonic Avionics Corporation (Panasonic) today announced its NEXTTM inflight entertainment and communications (IFEC) platform – the company’s newest and most powerful IFEC solution. The NEXT platform is designed to help airlines overcome key challenges by transforming typically rigid entertainment systems into a flexible IFEC platform. 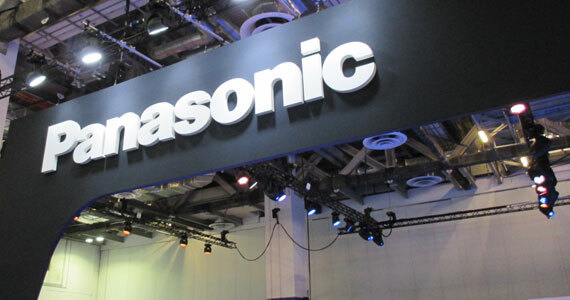 Panasonic is introducing a scalable IFEC solution with the NEXT platform, which blends the latest in inflight entertainment technology, connectivity services, and consumer technologies to help airlines reach their business objectives. This approach helps airlines maximize their investment by dramatically extending the lifespan of the IFEC platform. Because it is both modular and scalable, the NEXT platform creates an easy-to-use, tailored passenger environment that helps airlines meet their existing and future business objectives, maximize passenger engagement, enhance passenger and crew convenience, and ultimately increase efficiency. A key differentiator with the NEXT platform is its ability to help airlines maximize their investment by keeping IFEC perpetually and contextually relevant. It blends the latest advances in consumer technology, including 4K screens, Light ID, Bluetooth, and much more, backed by an intuitive interface that is simple for all passengers to use. The value of the NEXT platform is increased exponentially by Panasonic’s integrated ecosystem of value-added services, tools, applications, and partnerships. This industry-leading ecosystem includes the company’s second generation global connectivity network which, when coupled with its new modem technology, provides up to 250 megabytes per second of connectivity to an aircraft. The powerful combination of the NEXT platform and Panasonic’s global, integrated ecosystem will create an Internet of Me experience for passengers. It will seamlessly integrate with the company’s companion app technology and Panasonic’s ZeroTouch™ service to add higher levels of passenger personalization including previewing of content and other amenities on their flights, creation of playlists that will transfer from one aircraft to another, and even content on demand experiences. The NEXT platform also incorporates Panasonic Integrated Marketing Services (PIMS) – an advanced global marketing platform and the largest inflight marketing solution in the industry. PIMS delivers only highly targeted, high value marketing services to passengers, which will keep passengers immersed and engaged in destination services, retail therapy and other onboard applications while delivering increased revenue opportunities to airlines and their partners. Panasonic’s NEXT platform will be available for all widebody and narrowbody airframes, including the Boeing 777X. In the next few years, airplane passengers will be seeing a lot of changes to the process of flying from point A to point B. On the surface, they won’t notice a lot of difference in the mechanics of flight transportation, but it is what is going on behind the scenes, especially in the IFEC world that will have changed significantly. Passengers will still use their personal devices on the ground to obtain a ticket, they will be using their devices to check-in and board planes, and they will still be using all sorts of portable devices while inflight. While recent rules of onboard laptop usage might be restricted for security reasons (APEX News Release), globally there is too strong a need to manage and organize one’s life with the aid of a portable phone or connected personal device, including laptops. Why? With the technological advancements of the modern portable device, be it smartphone or wearable, people everywhere are demanding more data in order to stay connected and informed. Face it, installed inflight telephony; think Claircom, Inflight Phone and GTE Airfone, in the 1990’s delivered scratchy voice connectivity when compared to flying with a smartphone today. Passengers utilizing the connectivity options available to them now; whether it be voice, data, or streaming entertainment to their PED, experience a quality of service that far exceeds those provided by their connectivity predecessors. However, there is room for improvement given the ever-increasing demand for a larger pipe and more information to flow both too and from the aircraft. The next step is what this article is about. The Panasonic development of the next generation system is the focus in this week’s IFExpress. While Panasonic entertainment and communication products have evolved with the data need, the solutions moved from analog to digital because the answer for more ‘everything’ is an electronic one that includes both hardware and software. Thus, the next generation IFEC system from Panasonic is coming to the front of technology and, naturally, it is called the Panasonic NEXT Inflight Entertainment and Connectivity System. According to Panasonic, The NEXT IFEC platform was developed specifically in response to current generation’s trends and challenges. The system powerfully combines hardware, software, and functionality to provide a tailored solution to airlines. More importantly, it’s enabled by the Panasonic ecosystem of value-added services, tools, applications, and partnerships. More on this later. Panasonic’s vision with the NEXT platform was to help airlines overcome key challenges by transforming typically rigid entertainment systems into a flexible IFEC platform. With NEXT, Panasonic is introducing a scalable IFEC solution that blends the latest in inflight entertainment technology, connectivity services, and consumer technologies to help airlines reach their business objectives. This approach helps airlines maximize their investment by dramatically extending the lifespan of the IFEC platform. A key differentiator with NEXT is its ability to help airlines maximize their investment by keeping IFEC perpetually and contextually relevant. It blends the latest advances in consumer technology, including 4K screens, Light ID, Bluetooth, and much more, backed by an intuitive interface that is simple for all passengers to use. To quote Panasonic; “By taking advantage of connectivity technology, today’s leading airlines are delivering experiences onboard unimaginable just ten years ago.” But note, improved connectivity to the plane is the first step in the process and Panasonic has been working this part of the solution for a number of years now. With the launch of numerous satellites with space/data allocated for Panasonic’s aviation use, the company claims worldwide connectivity coverage. Furthermore, they currently have over 1,600 aircraft with an installed base of satcom. It is also significant to note that the future of this connectivity service is not solely for passengers, especially in Panasonic’s eyes. Notes Panasonic: “Our connectivity service is configurable based on the airlines business objectives – the experience they want to offer their passengers and their operational data requirements” … we will get back to the second part of this statement later. However, it is clear that both coming solutions will change the world of passenger and operational data. The operational side of the equation includes: safety, operational performance, and real-time updates of hardware on much of the airplane that ordinarily would only be checked on the ground or during ground testing. This is a game changer for the airlines as well and Panasonic has planned services that will reshape the management of maintenance. Both airline and passengers will benefit from this real-time analysis. Hardware data analysis and tracking/reporting of onboard system monitoring and security analysis will improve airline operations and possibly ground operations, service times, turnaround and potentially inflight operations as well. Passengers get more data, ground and airborne interaction with the airline… not to mention more movies, more and better data services, which all add up to happier passengers and more profit potential for the airline. If this is not a big to deal to airlines now, it soon will be! We have mentioned what the passengers and crew get from a new technology and data driven system, so now let’s specifically look at the NEXT System or ‘platform being developed by Panasonic. First, because the system is in development for the Boeing B777X (-X8 & -X9) and because this competitive solution is probably a tight competition, we cannot talk too much about the system capabilities. 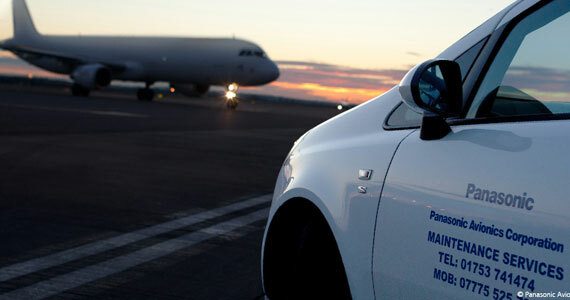 You can find out more about the Boeing 777 transport aircraft here. However, this might be a good time to note the Boeing future aircraft development possibilities. The Boeing B777-X8 is touted to be an approximately 350-passenger plane, while the B777-X9 is more like a 400+ passenger plane – and we understand that both are in the 2020+ development window. Obviously if the Panasonic NEXT ‘platform’ were to be for both aircraft models, a modular and scalable approach would be perfect for hardware, software, design, manufacturing, installation and even certification. It is scalable, it is modular and NEXT is for widebody, narrow body, everybody! 1. Because the new plane system will comprise multiple capabilities and offerings, different airlines will require different solutions; therefore, it has to be modular, and thus the ‘platform’ solution fits the general description of the Panasonic offering. By considering NEXT a ‘platform’ Panasonic can offer solutions with modular upgrades and/or product dash numbers that might include different software and/or hardware features. Here are a few that they specifically mentioned: aircraft and system monitoring, BITE, Maintenance centers and data communication, actionable analytics, passenger data integration software and solutions, and on and on. This ‘platform’ solution will keep potential certification issues at a minimum as they will not have Model/Box Numbers, but rather the ‘platform’ will only need the added box/software/card certs. This is only IFExpress’ speculation but if certification issues can be reduced, costs will be too. 2. The future of these airline/airplane required and selected capabilities, data storage, and management functions may make a ‘platformed’ system available as a design concept for other aircraft! A perfect example will probably be the Boeing 797 (the next, bigger-than-the-B737 plane) the potential Boeing midsize aircraft that is the required airplane series to address the ‘Middle Market’ – 4500 nm to 5500 nm sweet spot and carry somewhere between 180 to 280 passengers. The significant issue is that the NEXT platform will be scalable to address all different aircraft model types – single aisle, twin aisle, and the elusive middle market aircraft of the future. This will allow airlines to scale their systems depending on route, aircraft size, and demographics, while maintaining a ‘commonality’ across their fleet and it is NEXT’s modularity that allows this to happen. Make no mistake, the NEXT platform will incorporate an improved modem for their new view of passenger and airline connectivity needs. Here is what Panasonic says: “The combination of our new modem results in the biggest improvement in connectivity Panasonic has made since the start of our service. It provides up to 250Mbps for passenger data, a 20x improvement in speed compared to our first-generation modem. Our connectivity service is configurable based on the airline’s business objectives – the experience they want to offer their passengers and their operational data requirements!” Once again, it is the modular and scalable nature of NEXT that facilitates this choice by the airline. “Goal: Passenger entertainment equipment is subject to frequent upgrades on the airplane. The goal of this AEEC activity is to develop cost effective equipment and valuable network infrastructure for the airlines to cope with the rapid and evolving electronics/entertainment industry that will exceed passenger expectations. This includes interface standards to allow airlines to implement preferred systems for their passengers. Cabin communications, connectivity, wireless distribution, cabin interface protocols, and connector standardization are all intricate components of this activity. Scope: The scope of this project is to develop next generation standard cabin interfaces that will provide airlines with freedom of choice in the installation and expansion of cabin equipment. IFE, communications, interface protocols, seat integration issues, and connectors and cables standardization are also a part of this activity. Benefit: Cabin systems provide entertainment and service improvements to the passenger. To keep up with passenger’s desire for better accommodations, systems are becoming more sophisticated and complex. Home entertainment and office type computing systems and peripherals are finding applications in the cabin to facilitate data handling and data link to the ground. The growing complexities and scope of cabin equipment has resulted in the expansion of ARINC 628. New series of specifications are added as new concepts and next generation systems and networks are developed. The benefits of the cabin standards are numerous. They provide the airlines freedom of choice, unit price reduction through increased volume, interchangeable spares, more upgradeable options, and creation of more sub- markets for integrators and software/hardware suppliers. These benefits are being realized on the new aircraft programs, possibly regional and business jets, and retrofit aircraft programs. The final message here is to keep your eye on this organization and its findings and reports as the next generation of IFEC is going to be outlined by this group! Additionally, and because of the newer tremendous connectivity capability coming down the pike, IFExpress should mention cybersecurity and while Panasonic did not specifically mention the subject to any extent during our conversation, we know their engineers are very aware of the issues involved with improving passenger and plane connectivity. We expect a big focus on keeping airplane data safe – both now and in the future. Some recent internet stories featured airplane hacking but Panasonic security people denied the reported ‘hacks’ and said: “The responsibility for security does not solely rest with an (in-flight entertainment) manufacturer, an aircraft manufacturer, or the fleet operator,” noted a company representative. “Each plays an important role in assuring a secure environment.” Further they called the news reports ‘misleading’ and ‘inflammatory’ and noted; “That one could use the exploit to steal credit card information is simply not true.” Further, Panasonic says it continually tests the robustness of its systems, and that it complies with or exceeds all regulatory requirements, which include regular third-party tests. After visiting their manufacturing and test labs, we believe they work to keep their systems hack free and we expect the new systems to move to the next level up the security chain. While a few Boeing airplanes were mentioned, Airbus is the other solution that will no doubt seize the opportunity to take advantage of better passenger connectivity and improved inflight plane data but at this time we feel they are interpreting their market properly with the planes they have. Wait one year or two and this will probably change. For example, the Airbus A350 is a logical future prospect for ‘backbone improved’ data channeling and airline profit improvement based upon more and better connectivity and improved plane information updates. And lastly, we should mention that other vendors are not asleep to this technology revolution and we feel based on interviews that they too see the value in building modular systems. Needless to say, we expect to see some of their developments at this week’s AIX. Readers might want to pay attention as the race for better, faster IFEC is going to eclipse everything currently in this industry in the next few years and note that the competition has moved into a new phase where both airlines and passengers will be the winner. Much of this will be achieved by the OEMs and IFEC companies working together to focus on the ever-developing ground-based technologies that have so far surpassed what traditional IFEC has been able to offer to airlines and passengers due to the lengthy certification process. With an ever-increasing installation base of satcom equipped aircraft and passengers bringing onboard data rich and powerful PEDs, such as the smartphone, a new window of opportunity has opened to our industry with the ability to be able to interact with those devices. We may finally see the ever-elusive connected travel experience become a reality. Stay Tuned! New Orleans, LA | March 13, 2017– Satcom Direct (SD) today announced its agreement with Astronics AeroSat to sell the FliteStream T-Series tail mount connectivity system through SD’s global dealer network. The first of its kind in the business aviation market, the FlightStream T-Series solution employs the Panasonic Avionics global communications network to enable business jet passengers to watch live television and use the internet simultaneously through a single antenna. It’s A Newsy Week: AIX, Boeing, Inmarsat, Panasonic, and More! As we approach Aircraft Interiors Hamburg we are seeing a lot more industry news hitting the airwaves. Let’s start by taking a peak at what to expect from AIX and PEC next month. AIX Overview: This year’s Aircraft Interiors Expo (AIX) takes place in Hamburg, Germany from 4th-6th April 2017. We are, as always, excited to welcome over 500 showcasing companies to the Messe with 55 new exhibitors, many of whom will be in the IFEC zone. This rapidly expanding zone is now the world’s largest event dedicated to in-flight entertainment and connectivity and content and service providers making it a must-see for visitors to the show. With such a wealth of companies exhibiting at the show from the supply chain, technology and products industries and more than 1,000 airline executives expected to attend, the event once again promises to be extremely thought-provoking and insightful. CabinSpace Live, a theater style series of seminars where visitors can learn and be inspired on a variety of pressing issues within the IFEC, Interiors and MRO sectors will also be taking place again this year. The event provides a fantastic networking opportunity for delegates to discuss key topics and gain inspiration from industry leaders and disruptors within the IFEC and MRO sectors. Aircraft Interiors Expo also incorporates the 11th annual Crystal Cabin Awards, which takes place on the evening of Tuesday 4th April, with seven award categories that celebrate the most innovative ideas in cabin design and technology. The winners ceremony takes place at 13:00 within the CabinSpace LIVE seminar theater on Wednesday 5th April. PEC Overview: New to this year’s Passenger Experience Conference (PEC) is the Airline Breakfast Forum. This is an exclusive event for airline attendees which will kick off with an inspirational keynote speaker from Disney and will offer content that delegates would not experience at other conferences. The event is an opportunity for airline executives to network and debate with their peers about the issues most relevant to improving the passenger experience in their business and to share best practice insights. The discussion will be led by an industry-expert moderator and the key issues for the agenda will be decided in advance by a poll of the participant airlines. This year’s PEC program features in-depth breakout sessions, focusing on a different element of the passenger experience and providing attendees a further opportunity to discuss the industry with their peers. The sessions will be split into three streams running in parallel; Generating Revenue, Comfort and Wellbeing, and The Connected Journey. The new focus of these breakout streams, reflects an increasing convergence of interest among different airline departments. It will host more than 50 speakers from both inside and outside the industry. Speakers confirmed include; Delft University of Technology, Archetype Discoveries Worldwide, Gogo, American Airlines, Plug and Play. Have you heard about the latest air traffic management research by Inmarsat who is provider of global mobile satellite communications? A new study by Helios and Inmarsat reveals that satellite communication has saved airlines more than US$3 billion thanks to safety and efficiency benefits. One single Air Traffic Control benefit mechanism, which allows aircraft to fly closer together safely, was responsible for savings of US$890 million alone. More importantly, satellite communication (satcom) in the cockpit has saved airlines more than US$3 billion thanks to safety and efficiency benefits, according to a study released today by Helios and Inmarsat (ISAT.L). 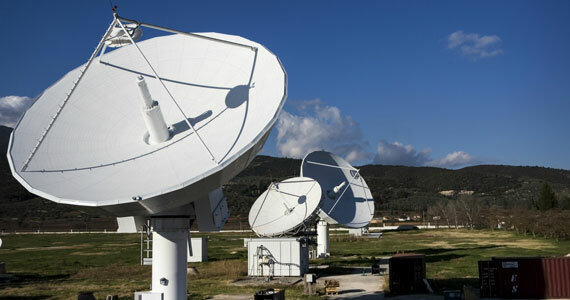 Satcom application reference here is the use of voice and data services via satellite to communicate with aircraft outside the range of conventional ground radar and Very High Frequency (VHF) stations, such as over oceanic regions. It is typically used for air traffic control and airline operations. The inaugural study, conducted by Helios, valued the benefit of satcom to airlines between 2001 and 2016. It found that one single Air Traffic Control (ATC) benefit mechanism – reducing separation minima, which allows aircraft to fly closer together safely – was responsible for savings of US$890 million alone. Thanks to satcom, planes can now fly within 30 nautical miles of each other because of safe, reliable communication and tracking; previously aircraft were required to maintain a separation of 100 nautical miles. This allows aircraft to fly closer together and means more planes can fly in a given airspace, which is particularly beneficial over the busy skies of the North Atlantic. If an aircraft is not equipped with satellite communication capability, it must maintain the 100 nautical mile separation, and is not permitted to fly in certain areas. Increasing airspace capacity also leads to more aircraft being able to choose optimum flight levels, saving time and fuel. A further US$1.9 billion is saved thanks to the ability of aircraft to communicate with their Airline Operations Centre (AOC). AOC applications use real-time information to help airlines improve flight safety or provide a more efficient service at a lower cost. Delay management and scheduling is improved, fleets and flight crew can be better managed, maintenance can be taken care of and turnaround time on the ground is reduced. Traditionally AOC communication is provided by the exchange of simple text messages between the pilot and the controller. As satcom bandwidth capacity increases, bringing broadband connectivity to the cockpit, there will be an explosion of IP-based AOC applications, allowing airlines to further optimize flight operations and fleet management. For example, an aircraft’s health can be constantly monitored, and any maintenance issue signaled ahead to the ground crew so parts and maintenance staff are ready as soon as the aircraft lands. Until now, most maintenance information was delivered upon landing, with potential for delaying speedy resolution of an issue. Broadband connectivity will also help with urgent ATC demands, as our skies see ever more traffic. By 2030, there will be more passengers in the sky each year (7 billion) than there are people on the ground right now. They will fly in 40,000 aircraft, the majority of which will be connected. Further, the Helios study looked at benefits over oceanic regions, but it also highlights how satcom can complement existing ground-to-air data communications over land too. Savings over continental regions could equal those over the oceanic regions. For example, in the congested airspace of Europe, the Iris Precursor project has been established by the European Space Agency with support from Inmarsat and other aviation companies. It uses satcom to allow precise ‘4D’ flight path control, which optimizes flight speed and descent profiles. It is designed to dramatically reduce delays, particularly around large hubs. Also, in case you didn’t know, Inmarsat pioneered cockpit data with the launch of Classic Aero back in 1990 and is today the leading service provide with 95 per cent market share. SwiftBroadband-Safety, its new IP-based broadband platform for the flight deck, brings aircraft connectivity to new levels. Always-on, always-secure high-speed broadband in the cockpit delivers much faster communication and a host of new safety and efficiency applications. Boeing marked a milestone today as the first 737 MAX 9 made its debut in front of thousands of Boeing employees. The 737 MAX 9 is the second member of Boeing’s industry leading 737 MAX family, with a maximum capacity of 220 passengers and a range of 3,515 nautical miles. The airplane now begins system checks, fueling and engine runs on the flight line. Once completed, the airplane will begin flight testing in the coming weeks – the final phase of verification of the operational characteristics and overall performance of a new airplane. The 737 MAX 9 is scheduled to enter service in 2018. The 737 MAX 8 is on track to deliver to customers in the second quarter of 2017. The 737 MAX family has been designed to offer customers exceptional performance, flexibility and efficiency, with lower per-seat costs and an extended range that will open up new destinations in the single-aisle market. The MAX 8 and 9 will be followed in 2019 by the smaller MAX 7 and higher capacity MAX 200, while studies and discussions continue with customers on growing the family. The 737 MAX is the fastest-selling airplane in Boeing history, accumulating more than 3,600 orders to date from 83 customers worldwide. While the video provided on Boeing’s website is a sales pitch, it is worth the watch. Solid State Battery Invention may improve safety for batteries everywhere. Inmarsat, IFPL, Panasonic, and More! Inflight Entertainment and Connectivity (IFEC) specialists IFPL will be showcasing their latest power solutions at AIX 2017 in Hamburg. With new consumer devices adopting USB-C as standard, IFPL has actively engaged its customers on how this technology can be applied to IFEC and how to transition from USB-A. Along with its baseline USB-C outlet, IFPL is currently developing a range of USB–C 3.1 peripherals and solutions. Visitors to stand 2C10, we are told, can see their USB-C outlet and discuss industry adoption of this technology. In previous shows IFPL demonstrated their high power and data USB-A 2.0 and we covered it IFExpress. These are now in-service along with IFPL’s clever reversible option. Recently, IFPL has worked closely with GORE to develop the new USB-A 3.0 module, that combined IFPL USB 3.0 with GORE Aerospace USB 3.0 cables and provides the ideal solution for delivering high power (2A, 5V DC) and data transfer (up to 5Gbps) as per USB 3.0 requirements. This gives passengers the ability to maximize the benefits of both charging their Personal Electronic Devices (PEDs) and interfacing with the Inflight Entertainment (IFE) system. IFPL has also enhanced the capability of its existing 1225 unit, the 110V AC Universal Remote Power Outlet, with the addition of a high power USB-A socket and will be demonstrating the new 2011 unit on the stand. In addition, IFPL has been working with key industry partners to develop a new range of power solutions that focus on ensure ergonomic and aesthetic seat integration. The combined approach delivered a system that maximizes the use of the physical space of the seat and seamlessly design the USB outlet into the actual seat arm. The result is an attractive installation of a fully integrated system that has no impact on passenger legroom. As always, IFPL’s established range of IFEC products and solutions will be on display and the expert team from IFPL will be on hand to discuss any requirements that visitors to AIX 2017 may have. Editor’s Note: IFPL is based on the Isle of Wight, just off the South Coast of England. Founded 20 years ago by CEO Geoff Underwood, IFPL today enjoys one of the largest portfolio of proven IFEC products and services in its sector. Airline passengers flying to and from the Ivory Coast can now expect a connected experience, as national airline, Air Cote d’Ivoire (VRE), signs up for inflight passenger connectivity services from world-leading provider SITAONAIR. The new deal will deliver connectivity solutions to VRE’s brand new A320s, in the form of SITAONAIR’s Internet ONAIR and Mobile ONAIR products. With Internet ONAIR onboard, airlines can offer passengers seamless inflight internet access, connecting their personal devices by opening a browser – just as they would with a public Wi-Fi hotspot. Airlines can use Internet ONAIR to personalize their passenger relationships by developing a portal that can offer an interactive and engaging experience for the passenger. It also offers opportunities for airlines to grow their ancillary revenues. Mobile ONAIR, meanwhile, offers passengers an airborne mobile phone service that enables them to make phone calls, send texts and use their mobile phone data inflight, through an extensive number of roaming partners in Africa and across the world. In June 2017, SITAONAIR’s teams will begin activating Internet ONAIR and Mobile ONAIR on five new Air Côte d’Ivoire A320s equipped with Airbus’ Airline Network Architecture (ALNA) server platform. The services will make use of SwiftBroadband, an IP-based data service from Inmarsat that SITAONAIR, as distributor, will operate as service provider. Aviation Satcom provider, AirSatOne, announces lower rates for its SwiftBroadband connectivity. Taking care of customers is a top priority at AirSatOne and one reason why the company maintains a 99% customer retention rate. So when Inmarsat, the leader in global satellite communications, lowered its prices AirSatOne was quick to pass the savings on to its customers. Customers using AirSatOne as their service provider have access to its custom global network for the same price as the generic network used by the competition. AirSatOne’s custom network includes worldwide teleports and IP PoP (Internet Point of Presence) with advanced network security and our globally deployed Flightstream SA which provides web filtering, compression, consumption tracking and firewall customized for mobile communications. When Lufthansa’s new long-haul Airbus A350-900 enters service this coming Friday, passengers will experience a cabin lighting concept tailored to the human biorhythm for the first time – 24 different lighting scenarios on board ensure that passengers reach their destination well-rested and with less jetlag than is typical for a long-haul flight. The scientific concept for the new lighting technique originates with the “jetlite” startup, anchored in the aviation cluster, and was brought to market-readiness assisted by the six-month Airbus BizLab accelerator program. Effective immediately, Hideo Nakano will serve as CEO of Panasonic Avionics, succeeding Paul Margis, who has left the company. Mr. Nakano is an avionics industry veteran and was most recently the Deputy CEO of Panasonic Avionics. His previous experience at Panasonic includes serving as CFO of Panasonic’s Automotive & Industrial Systems Company, the largest of Panasonic Corp.’s four internal companies, as well as CFO of Panasonic Corporation of North America. 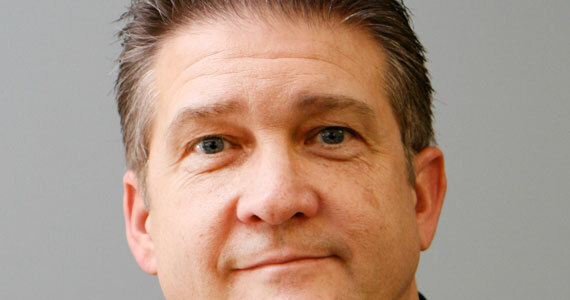 Panasonic Avionics has also appointed Mark Jennings to serve in the new position of Chief Operating Officer. In this role, Mr. Jennings will be responsible for duties related to operations, engineering, sales and marketing. Mr. Jennings joined Panasonic Avionics in 1998 as Regional Director based in Dubai and most recently served as Vice President of Operations. Additionally, Seigo Tada has been named Chief Financial Officer of PAC. He succeeds Paul Bottiaux, who has left the company. Mr. Tada will maintain his position as VP of Finance and Controller of Panasonic Corporation of North America. Mr. Tada joined Panasonic in 1985 and has held roles of increasing responsibility within the finance function throughout his time with the company, including ten years in the United States. You can read more here. LT just completed Ka Band connectivity on it’s first VIP A330 and installing similar technology on some 32 Lufthansa A320 planes PER MONTH! Here is the agenda. The summit happens Wednesday, June 7, through Friday, June 9. this year. IOActive has presented no evidence that its examination of Panasonic’s systems would support any such suggestion, and its statement that its “research revealed it would also theoretically be possible that such a vulnerability could present an entry point to the wider network, including the aircraft controls domain” will only serve to falsely alarm the flying public. Furthermore, IOActive employee Ruben Santamarta’s statement regarding credit card theft is simply not true. Mr. Santamarta makes incorrect assumptions about where credit card data is stored and encrypted within Panasonic’s systems. It is important to note that, during the course of this unauthorized, in-service testing, the safety, security and comfort of passengers of the aircraft were never in danger or compromised due to the system segregation and robust security design of our inflight entertainment and communications (IFEC) product, and of all commercial aircraft as well. His exploit itself was limited to a single seat and information gathering; control override of the IFEC seat and system did not occur. It is also very important to note that, in its communications to the press, IOActive made unfounded, unproven conclusions. The basis for many of these conclusions would first necessitate that an attacker gained a physical connection within the IFE network. During the unauthorized testing, network penetration, or even network connection to Pansonic’s product, did not occur. IOActive, in statements to the press, inappropriately mixed a discussion of hypothetical vulnerabilities inherent to all aircraft electronics systems with specific findings regarding Panasonic’s systems, creating a highly misleading impression that Panasonic’s systems have been found to be a source of insecurity to aircraft operation. Like any responsible business, Panasonic continually tests the robustness of its systems, and reviewed all of the claims made by Mr. Santamarta. It subsequently engaged Attack Research (AR) to conduct validation testing in May 2015 and again in 2016 to ensure that the few minor concerns (in no way linked to the control of an aircraft) identified by Mr. Santamarta had been fully remediated, and this was confirmed in a written report to Panasonic. Panasonic does not condone unauthorized security testing during aircraft operation in uncontrolled environments, such as those conducted by IOActive. Panasonic strongly supports legislation that should be enacted to make on-board electronic intrusion a criminal act. Security professionals who wish to test our systems legitimately and safely can do so by participating in our Bug Bounty program (bugbounty@panasonic.aero) in which Panasonic provides unfettered access to our products to allow for in-depth security testing and analysis. Panasonic IFE products have a robust security design that complies with, or exceeds, all requirements, and are routinely and regularly tested by third-party professional security firms, as well as by participants in our independent Bug Bounty program. Panasonic also fully supports aircraft manufacturers and aviation regulatory agencies to ensure our IFE systems are designed to comply with all aircraft manufacturer and regulatory security requirements, and Panasonic routinely reviews our designs with said groups. Additionally, Panasonic is a member of the Aviation Information Sharing and Analysis Center (A-ISAC) for the express purpose of assuring that vulnerabilities are shared and assessed with a collective oversight so that the integrity of the systems can be maintained. Panasonic’s IFE software is certified at Level-E per DO-178B, with “No Effect” to aircraft safety. Dallas, Texas | December 13, 2016– Southwest Airlines Co. (NYSE: LUV) is committed to enhancing the inflight Customer experience and improving connectivity on Southwest® flights across the U.S. and near international destinations. This commitment is demonstrated with the carrier’s announcement today that it has entered into connectivity agreements with Panasonic Avionics Corporation (Panasonic) and Global Eagle Entertainment (GEE). The agreement with Panasonic provides for their Global Communications Services, which include WiFi and live television, to be offered on a portion of the carrier’s fleet, with the first Panasonic equipped aircraft scheduled to enter service in late 2017. The agreement with GEE extends the carrier’s use of the company’s Airconnect connectivity system and services. Both of the agreements support Southwest’s focus on yielding greater WiFi bandwidth available to Customers on WiFi-equipped aircraft. The Customer experience with connectivity remains a top priority for Southwest. Southwest’s agreements with GEE and Panasonic demonstrate the Company’s focus to keep Customers connected to what matters most in their lives, especially onboard their Southwest flights. In mid-2017, Customers will be able to browse the Internet at increased speeds as a result of an expected bandwidth increase of at least three times more than what they currently experience, with an additional expected bandwidth increase in mid-2018. Connectivity speeds are expected to increase, and Southwest plans to develop relationships with content providers to bring even more exclusive content to its Customers while on flights. Customers will continue to enjoy the current onboard entertainment offerings they experience with Southwest today, such as free live TV and $8 per device per day for WiFi connectivity across all WiFi-equipped planes. While this year’s Panasonic booth was a blend of the “Cool Room” and the regular product displays, they were showing new products and solutions for the IFEC crowd. And finally, we got a communication focus on the application of advertising with the launch of Captify Inflight Marketing and advertising services. Captify, which is an advanced inflight marketing platform delivers all the key features needed by airlines, their external partners and paying advertisers. Since the platform comprises the software tools and support teams that power the largest inflight marketing solution in the world – reaching 1.3 billion travelers a year! Here is the big deal – Captify enables airlines to target by seat class, route, device, language, and passenger data. With no changes to on-board media, it can increase or decrease ad loads, cap the frequency of marketing campaigns, and deliver detailed usage data in real-time. This allows airlines to optimize promotions for a wide range of optional services, partnerships, loyalty programs, and paid advertising all within a compelling passenger experience. The platform delivers video, native display, and sponsorship options for high-impact, fraud-free marketing with best-in-class targeting and results. Using this information, Captify helps airlines and their marketing and sales partners learn more about their customers by bringing together all the passenger and behavioral data, so airlines can gain intelligence and inform business or service strategies. Captify is built to fit any airline’s business model, with access for internal marketers, external sales teams, and ongoing trafficking and testing support from Panasonic. The full-service platform includes ground-side tools for scheduling and analytics of marketing campaigns; air-side servers and APIs to integrate with any aircraft’s inflight entertainment or connectivity systems; plus Panasonic’s dedicated service teams working hand-in-hand with airlines partners, media agencies, and content providers. Next, Panasonic Global Communications (Panasonic), A Division of Panasonic Avionics Corporation, and Newtec – a specialist in designing, developing and manufacturing equipment and technologies for satellite communications – unveiled a new, high bandwidth satellite modem, which offers Panasonic customers twenty times the bandwidth of Panasonic’s current solution. Versions of this new modem will be available across Panasonic’s mobility markets including air transport, business aviation, maritime, cruise ships, mega yachts, and river cruises. Developed in partnership, the new modem is capable of exceeding 400 Mbps, and it can scale to meet the evolving needs of airlines and their passengers by facilitating the increasing bandwidth coming on stream over the next two years as High-Throughput Satellite (HTS) and Extreme-Throughput Satellite (XTSTM) services continue to be layered over Panasonic’s existing global network. This will expand network capacity from 2,300 MHz today to 15,000+ MHz by 2017. The next-generation modem includes three demodulators for seamless beam switching and simultaneous data and video reception and is also part of the Newtec Dialog® multiservice platform, which supports a wide range of verticals, including aviation and maritime. Featuring the award-winning dynamic bandwidth allocation Mx-DMA®, it combines the efficiency of SCPC with the dynamic bandwidth allocation capabilities of TDMA to deliver up to 300 percent more data than legacy Time Division Multiple Access (TDMA) systems. Here’s the deal: By making a satcom beam narrower, Newtec delivers more power, and thus, use the full 150 MHz carrier. You remember Shannons theorem, right? This way they use a full 150MHz carrier – three times wider than Panasonic’s existing Ku-band systems. Very cool and speedy solution. The story is probably like this: A lot of Rockwell Collins aviation earnings, including IFEC, vary greatly through the year and in many cases, IFEC may be down, while seating may be a hot item. This solution gives Rockwell a very well respected company to deliver another set of aviation products that they did not have. It also makes them a ‘nose-to-tail’ provider within that giant metal tube. And who knows, the integration of BEA into RC, may just further provide individual and combined sales products and events! One of the “big deals” in Singapore was Inmarsat, as they launched their GX Aviation inflight connectivity solution while there. GX operates at Ka-band, and unlike other solutions available today GX for Aviation is uniquely engineered to meet the needs of airlines and their passengers. Generally speaking, the higher the frequency the more bandwidth you can get out of the system, and the more bandwidth, the more users and the larger the data rates – bigger is definitely better in connectivity! The highly efficient Ka-band spot beams provide a foundation layer of global coverage designed specifically to serve high-speed users. But global coverage is only part of the story. GX offers the flexibility to add and redirect bandwidth where airlines need it most, across hub and traffic hotspots. And as demand inevitably grows, so will GX capacity, future-proofing airlines choice today. Imagine a cell network and since each satellite has 80 cells, the flexible cell approach allows the satcom receivers to hand over signals from one to another if one cell is overloaded (done today with L-band too). This is a big deal. As we noted earlier, the GX Ka-band service is now live and Inmarsat will provide its advanced new GX for Aviation in-flight broadband solution to Austrian Airlines’ continental aircraft fleet under a new, recently announced contract. The Ka-band spot beams are extremely efficient and provide a foundation layer of global coverage specifically designed to serve a high-speed mobile audience. More than 30 Airbus A320 family aircraft from Austrian Airlines’ fleet will be equipped with GX for Aviation. We understand that the new service will allow the airline’s passengers to browse the internet, stream videos, check social media and more, with service levels on par with broadband connectivity available on the ground. We should note that the first installation and testing onboard Austrian Airlines aircraft is currently underway. Also in the GX world, Honeywell and Boeing have recently signed a technical services agreement to develop technologies for the next generation of high-speed, in-flight wireless connectivity. The two companies will jointly research, test and develop the avionics hardware, software and potential aviation services that will utilize Inmarsat’s GX Ka-band satellites. The move addresses passengers’ increasing demands for faster, more reliable in-flight connectivity on smartphones, tablets and laptops. We expect to see more consolidation from mid-level vendors before AIX and it is happening NOW! Here’s a new one, or at least one we have not seen: Latitude Aero is having a Warehouse Liquidation Sale on A319 seating… “All reasonable offers accepted” – Check it out! Singapore | October 26, 2016– Biman Bangladesh Airlines (Biman) has selected Panasonic Avionics Corporation (Panasonic) to deliver a premium entertainment experience onboard its new fleet of four B787-8 aircraft. The agreement, which represents the first time the companies have collaborated on inflight entertainment, ensures that Biman’s four new B787-8 aircraft will feature hi-definition screens, advanced touch-screen handsets, and a “home theatre” experience to passengers. Panasonic’s eX3 system has been chosen by many of the world’s leading global carriers due to its unmatched entertainment capabilities, ultra-lightweight design, low total cost of ownership and high reliability. This cutting-edge inflight entertainment solution is capable of delivering more than 700 hours of on-demand audio and video entertainment. It offers excellent picture quality with enhanced colour and contrast features. Its monitors are future-proofed by offering enough processing power to support all of today’s applications as well as those being introduced in the years to come. Singapore | October 25, 2016– Panasonic Avionics Corporation (Panasonic), the worldwide leader in inflight entertainment and communications (IFEC), today announced that it has been selected by Airbus as lead supplier for High Bandwidth Connectivity (HBC) technology on its A320, A330, and A380 platforms. Panasonic’s Global Communications Service uses a Ku-band satellite network to deliver high-speed communications services on 99.6 percent of all air traffic routes. The service lets passengers connect to the people, digital entertainment, and web content of their choice. It also enables Panasonic’s eXTV solution, which is the industry’s only global inflight television service. Panasonic currently has the largest number of connectivity-enabled aircraft types installed and the most Wi-Fi enabled aircraft flying international routes.